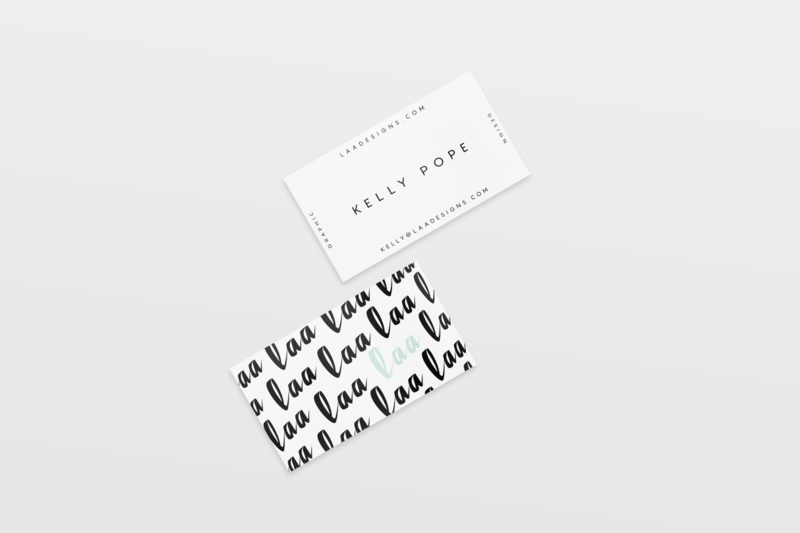 Kelly Pope designed these business cards for her self-branding as a graphic designer based in Miami, Florida. Kelly prides herself on the ‘less is more philosophy’ and her designing style and aesthetic have range, while remaining clean and modern. “I recently decided to rebrand myself and wanted to create a card that was unique and that really represented me and my style. With that in mind, I wanted the front to be very clean and to have a lot of negative space. I wanted to keep it minimal, with only my website and email address. The back is more fun and eye catching with my laa logo in a diagonal pattern and a pop of mint colour (my fave!  ),” Kelly said. Kelly even told us a fun fact: the ‘laa’ in her personal logo represents her three best creations – her kids: Lucas, Alexis, and Addison. How wonderful! These business cards were printed by Moo, using Luxe paper stock. 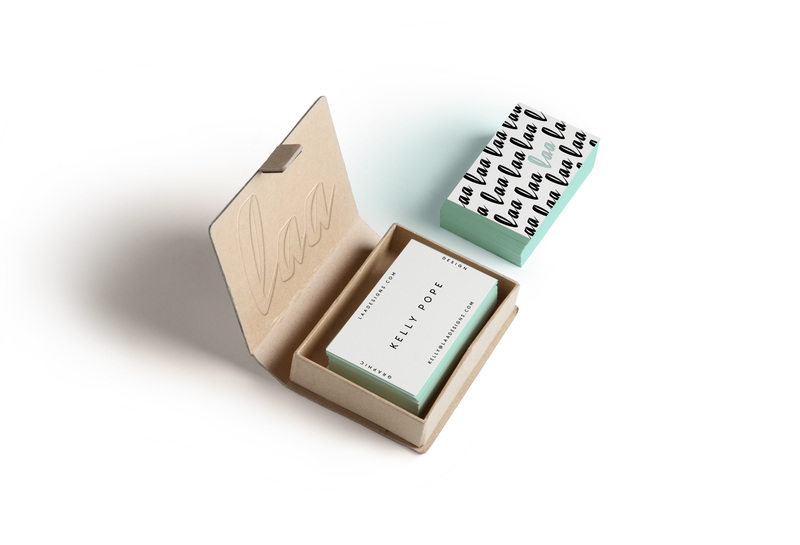 Kelly also shared with us another possible version: a mockup of her letterpress business cards with mint painted edges, which is equally impressive and eye-catching!